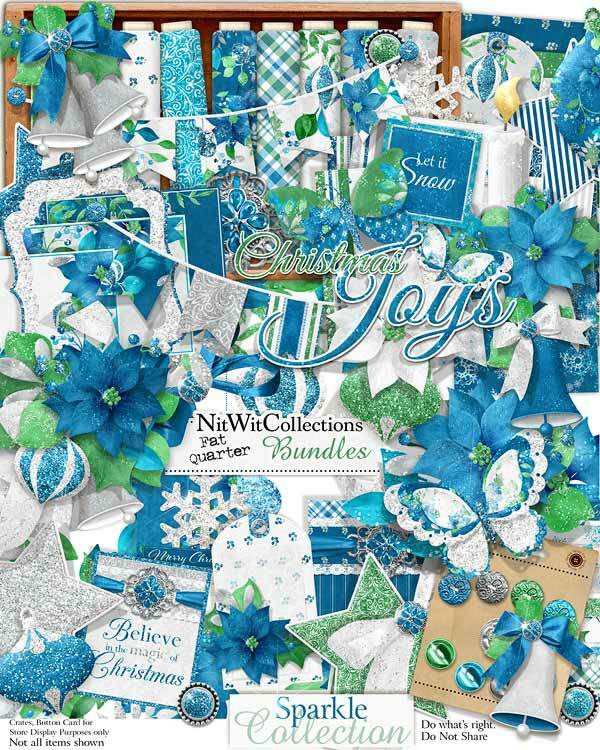 FQB "Sparkle" Collection is everything that its name implies....a sparkle, shimmering and shining digital card making and scrapbooking Christmas kit! 1 Cluster of a more floral only image....with the added butterfly of course as he knows where to be! 3 Frames for your favourite Christmas photos. Now to choose which one to use!! 1 Journal square decorated with the Christmas ornaments - "Sparkle & Shine"
3 Sparkle ribbons in great form as well! 1 Christmas tag - "Merry Christmas"
1 Christmas tag - "Sparkle & Shine"
1 Christmas topper - "Believe in the Magic of Christmas"
1 Word art - "Christmas Joys"